Automation is becoming more prevalent in today’s modern world; including automation in your business practices could be your next step to business success. One of the biggest challenges faced by every small business is having too much to do and too little time. Entrepreneurs and small business owners in particular often find themselves spending the majority of their days working in their business rather than working on it. While routine operational tasks are no doubt necessary in keeping the company running, devoting a substantial portion of the business’ limited time and resources to mundane tasks curtails attendance to more valuable activities, thus inhibiting growth. This is where automation comes in to play. According to a 2017 report by strategy consultant firm AlphaBeta, automation is expected to save Australian workers an average of two hours each week on tedious manual work. And time savings aren’t the only benefit gained. Productivity improvements fueled by automation could deliver an AU$2.2 trillion boost to the country’s national income by 2030. Adopting automation software results in increases in the efficiency and reliability of business processes. If you or your employees are constantly feeling burdened by menial company tasks, these four quick tips will put you on track to enhancing your small business performance with automation. The first step to automation is to build an agile and innovative workplace culture. Leaders, management and team members all need to embrace change and be adaptive to new technologies in order for implementations to succeed. Though the significance of moulding a creative and responsive culture may appear obvious, the perceived implications of automation can generate fears regarding job redundancy and consequently result in employee resistance to change. Business owners should look to foster a lean culture of continuous improvement. Encourage your team to be efficient and work smart by automating laborious day-to-day tasks. Convey the advantages they will experience – automation allows staff to re-orient their focus to more important activities that cannot be optimised with technology. Automation solutions exist for almost all purposes, from marketing and web design to payroll and customer service support. However, it’s important to remember that just because you have the opportunity to automate something, doesn’t necessarily mean that you should. Select simple functions that are mundane and repetitive, as opposed to complex activities which may require considerable human expertise. As a broad guideline, any predictable manual tasks that don’t involve unique human input can be automated. Start small. If you’re new to automation, choose a single and simple process that allows you to experiment and can be easily managed should any implementation issues arise. You might also find that automating one task effectively addresses, influences or eliminates the need for other business processes. Many small business professionals often regard automation as an expensive and complicated investment generally restricted to large enterprises. Yet automation doesn’t always have to entail hefty upfront sums on custom or specialised tools, and encompasses any use of technology to free up human capital and other resources by automating previously manual work processes. Nowadays, there is an abundance of solutions on the market specifically tailored to suit small business. Link4, for instance, was developed to address the invoicing needs of micro, small and medium-sized firms. Automating both accounts receivable and accounts payable enables businesses to send or receive invoices seamlessly through their existing cloud accounting systems, such as Xero or Quickbooks Online. It functions as a simple accounting software add-on that eliminates the need for emails, PDF files, manual data entry or mobile scanning technology. Our Link50 plan is perfect for small businesses to experience the benefits of e-Invoicing, free of charge. Without ongoing monitoring of the outcomes achieved by streamlining your workflow, it’s difficult to gauge your return on investment. This could result in over- or underestimation of the impacts derived from automation, as well as overlooked problems in implementation or team adaptation. Even with careful preparation and selection of automation tools, you could find that the new technology still needs some adjustments or simply isn’t the right fit for your business. Set specific goals that you can track and evaluate. These could be as simple as reducing the cost of processing incoming invoices by 60 percent. It’s important to know the value that the automation brings to your company in order to measure its success. 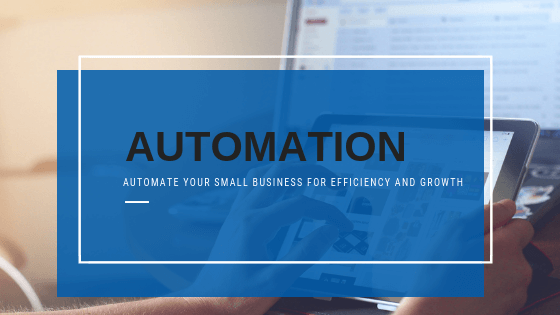 In the current competitive and rapidly-evolving small business landscape, automation might just be the key to helping your company stand out from the crowd. If you’ve chosen manual invoice processing as your first automation project, sign up now and enjoy seamless e-Invoicing with Link4. Be proactive – get started with automation today to maximise your productivity and accelerate your business growth! Share this article by clicking one of the social media icons below!